"Coruscant… the entire planet is one big city." Although there is still some building going on, Imperial City is OPEN FOR RP! Enjoy. 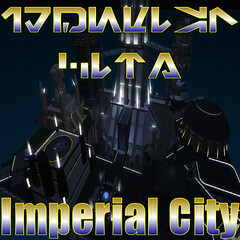 Imperial City, on the planet of Coruscant. The New Galactic Empire was the galactic government established sometime after 40 ABY. It was the evolution of the Imperial Remnant established by Admirals Daala and Gilad Pellaeon c. 12 ABY, which was in turn an evolution of the original Galactic Empire. Now in 217 ABY, The legacy of the Empire of the Fel Dynasty still exists. Seeking to bring about an end to the chaos and strife of the Galaxy and establish a stable government once more. The citizens of Coruscant follow the rule of Empress Talmerith Jael.